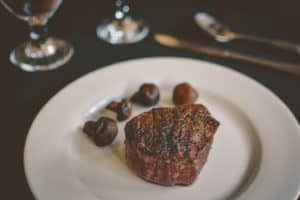 If you are looking for the best steaks in the area, make your reservation today at Johnny Manhattan’s in Richfield WI! We are just east of WI-164 on Hubertus Road, nestled in the heart of the northern Kettle Moraine area. We are your perfect dinner location after visiting Holy Hill, or playing a round of golf at Erin Hills, Arrow Head, or Kettle Hills. Or if you, or you and your riding group is out riding and enjoying Hogsback and Holy Hill Road, (WIS-60), stop in and enjoy dinner with us. Our paved lot is motorcycle friendly, and so are we! Johnny Manhattan’s is your perfect classy but casual dining experience! 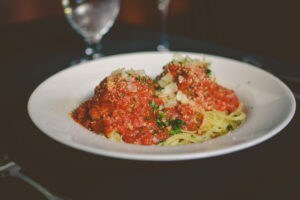 Enjoy our Steaks, Chops, Rack of Lamb, or Baby Back BBQ Ribs, or one of our Italian Specialty Meals like our Spaghetti & Steakhouse Prime Meatballs. 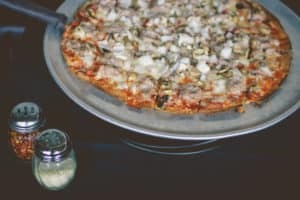 We also offer Richfield’s best hand-crafted Pizzas! Paired with any of our appetizers, such as our delicious Calamari or Escargot and perhaps a glass of wine or beer, and your Pizza Night at Johnny Manhattan’s is complete! Make your reservation for Johnny Manhattan’s today at (262) 628-7700. We look forward to serving you soon!